CASPR’s partners would like extend our condolences to those impacted by Hurricanes Irma & Maria. Our chairman, Mike, is a resident of Puerto Rico, with extended family located throughout the island. We experienced the effects of the wreckage firsthand. Our managing partners are currently in Puerto Rico, assessing the damage and assisting with relief efforts. It will take time to rebuild and repair, but due to the resiliency of its people, Puerto Rico will emerge from this tragedy undaunted. We have been encouraged by the commitment of CASPR’s clients and prospects to Puerto Rico. The overwhelming majority of our contacts are undeterred by the hurricane, and expressed eagerness to participate in the mission to restore and invigorate the island’s economy. Along with our clients, we have been closely monitoring announcements regarding the status of Acts 20 & 22. 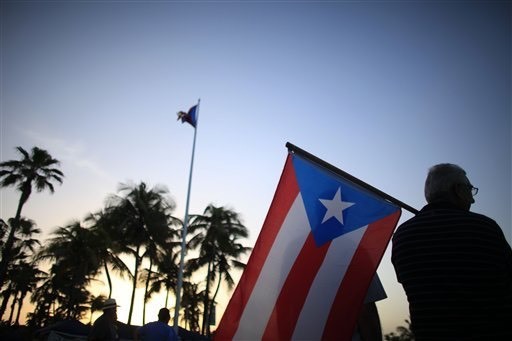 Reinforcing its support for the program, Puerto Rico’s administration has provided much needed leniency to Act 22 decree holders in the wake of the storm. Meeting the 183-day residency requirement for 2017 is a key concern for Act 22s. Many decree holders who sought refuge on the mainland still have not been able to return to their homes. Notice 2017-56 provides relief to residents who evacuated because of Hurricane Irma or Hurricane Maria, most of whom may otherwise have lost their status as “bona fide residents” of Puerto Rico for tax filing and reporting purposes. Notice 2017-56 extends the usual 14-day absence period to 117 days, beginning September 6, 2017 and ending December 31, 2017, for the presence test for residency under the tax rules. Further, an individual who is absent from Puerto Rico any day during this 117-day period will be treated as leaving or being unable to return to the relevant U.S. territory as a result of the hurricane. Despite flexibility regarding the residency requirements for Act 22, it is important to consider the ramifications for Act 20 businesses that have temporarily relocated operations due to the storm. Unfortunately, a similar respite cannot be extended to businesses that are temporarily sourcing income on the mainland or elsewhere. Act 20 companies that currently have employees working from the United States should be cognizant of the potential tax implications of such circumstances. The United States imposes taxes on foreign corporations (most Act 20 companies are treated as foreign corporations for federal tax purposes) that are deemed to be engaged in a trade or business in the United States or that derive income from sources within the United States. A foreign corporation that is deemed to be engaged in a trade or business in the United States will be required to file a federal income tax return and pay federal income taxes (and possibly state income taxes) with respect to its income that is effectively connected to its United States trade or business. Currently, federal corporate income tax rates may be as high as 38%. We are aware of the immediate challenges facing the Puerto Rican people, and have made strides to support current relief efforts. Ultimately, we believe the Act 20 and Act 22 programs will be critical to the long-term recovery. By contributing investment capital, job opportunities, and philanthropic initiatives, Act 20 and Act 22 decree holders will play a significant role through their continued commitment to our beloved island.